17' B.N. 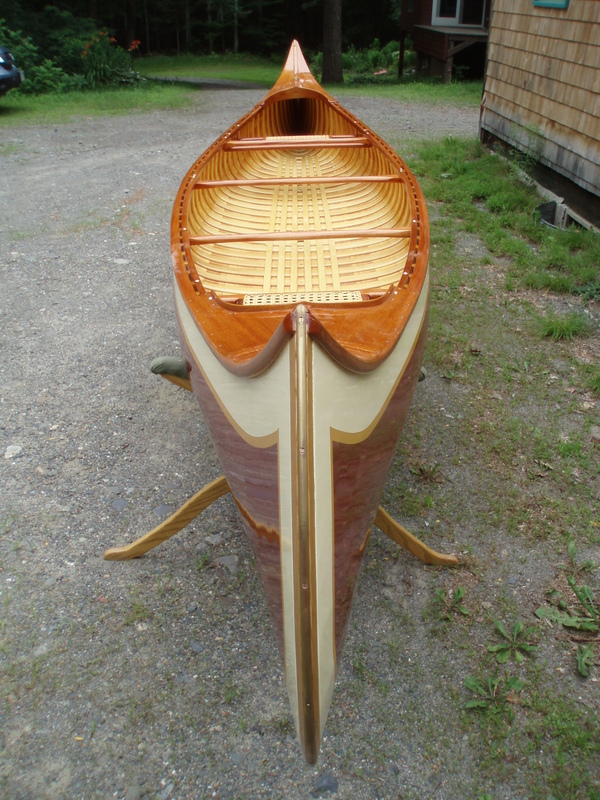 Morris - Northwoods Canoe Co.
B.N. 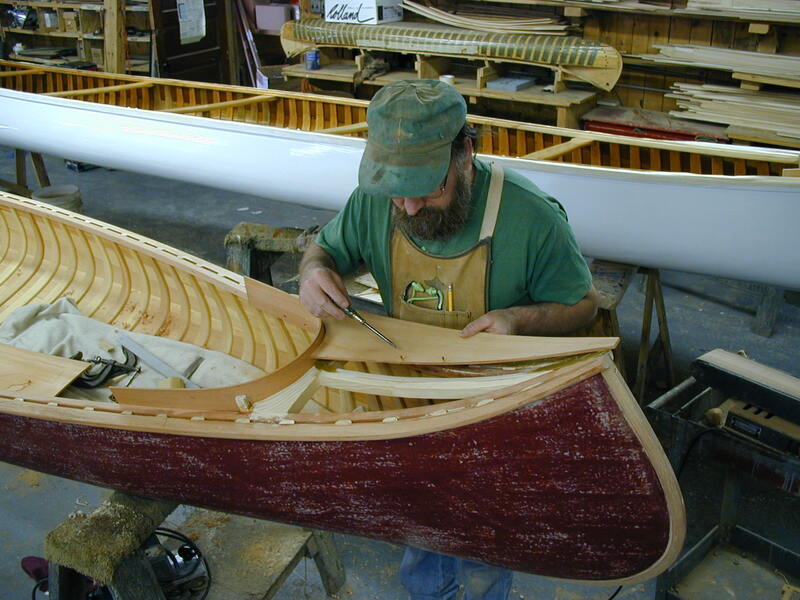 Morris, one of the pioneer developers and builders of wood and canvas canoes, started building canoes in the mid 1880’s in Veazie, Maine. His shop quickly grew into a large manufacturing plant with over 75 employees. 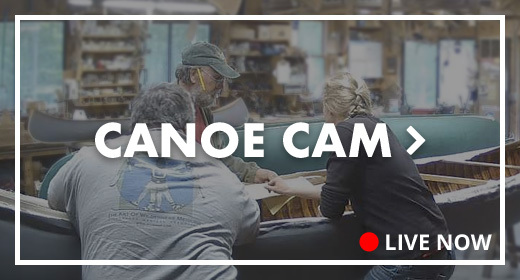 After a fire in 1920 destroyed the company, Morris continued to build and develop canoe designs, just up the Penobscot River, for the Old Town Canoe Company. 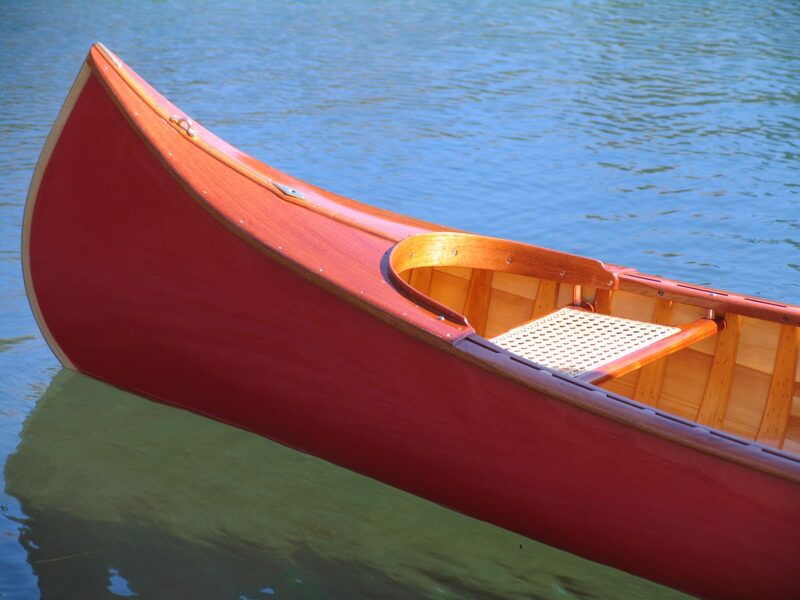 Morris canoes are very rare today and considered to be examples of the best in the development of wood and canvas canoes. Morris canoes had a brass plate with a serial number nailed most often to the stem. The brass tag and certain building characteristics can be used to date his canoes. 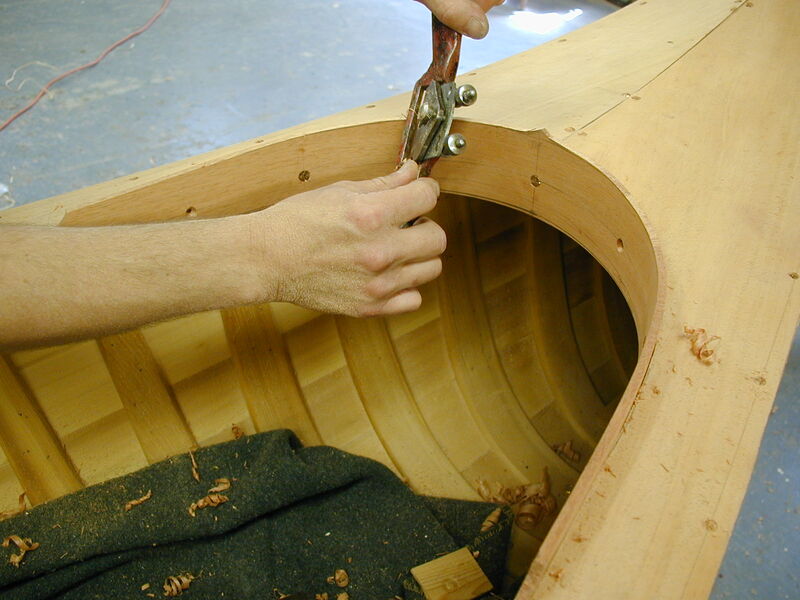 To reproduce this canoe I took the lines off of a original, well preserved 1908 Model A -Type III Morris. B.N. 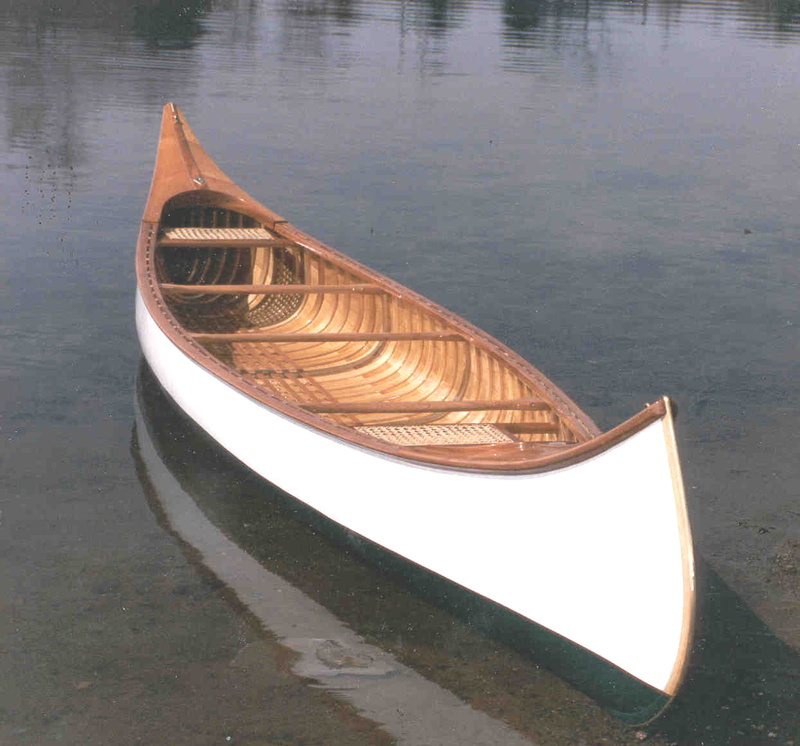 Morris had many different canoe styles but the Type A was the most popular and the Type III was the top of the line for options and quality. 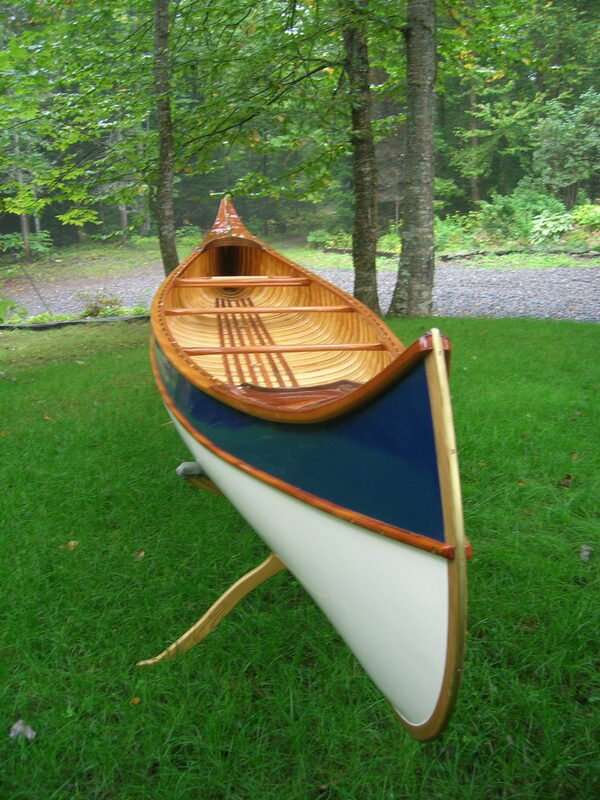 For the true canoe connoisseur, crafted with the same meticulous attention to detail as the original, this faithful reproduction displays the distinctive Morris profile with its graceful upturned ends and fine entry. Other features include the lavish use of mahogany in the extended decks, thwarts and seat frames, and full-length floor boards. 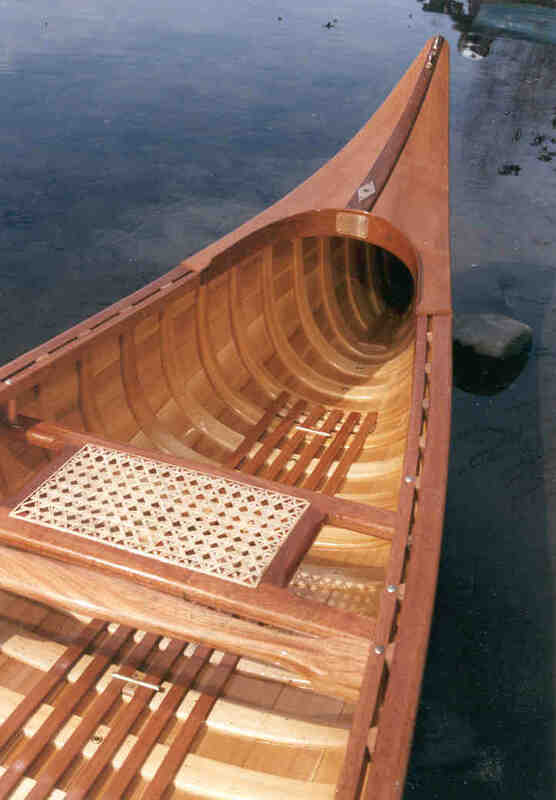 At 17 feet, this canoe has excellent hull speed, generous load capacity, and is extremely stable. 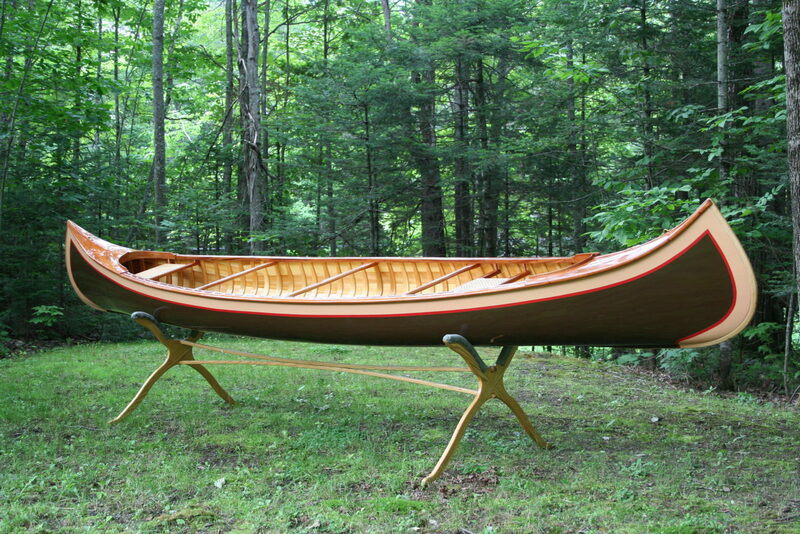 A truly fine all-around canoe with plenty of style.